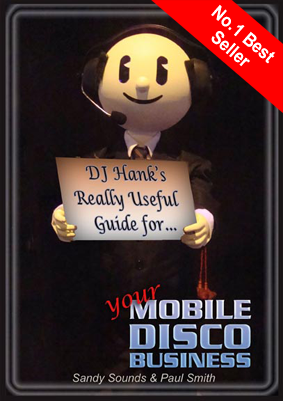 Every Mobile Disco show is different and designed to achieve what we think our own clients require. DJs all have their own preferences for sound systems and lighting so this Infomail won't be looking at specific equipment but instead cover back-up, safety and appearance. January is always a great month to pick up client enquiries for the year ahead. These are the first January stats we have for the four new client sites and it's already proving to be the highest month by far for visitors and enquiries generated for our members. By analysing and monitoring how we're doing on a weekly basis, we make sure we're in a great position to capitalise in those areas where we do well and improve in areas where we're not. It's always great to hear from both clients and members too who let us know how we're doing in the real world and their experiences of dealing with us. Yes we're doing well but standing still or resting on our laurels is not an option! 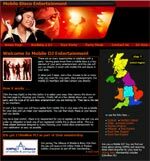 Our Mobile DJ site allows clients to make an enquiry direct to mobile DJs in their area. We've kept the whole procedure as easy as possible for both clients and DJs. This site was completely revamped in December and we will continue to add new pages to it during 2010. Q. I wish to complete my membership & PLI but I do not have a PayPal account. Can I pay by another method? A. You don't need a PayPal account to pay with a credit/debit card. When you get to the PayPal page from the DJ Area simply click 'Continue' in the 'Don't have a PayPal Account' section. If you don't have a credit/debit card you can send us a cheque and we will then manually activate your account.